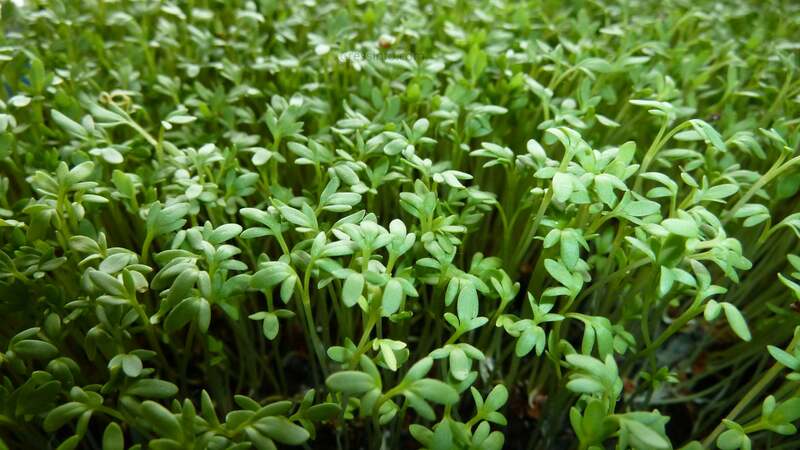 Cress, also known as ‘garden cress’ or latin: ‘Lepidium sativum’, is one of the most common sprouting plants available. Is consumed by it’s leaves, as opposed to sprouting seeds where the roots are also eaten. 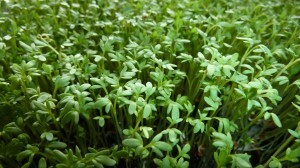 Normal garden cress. More photos. 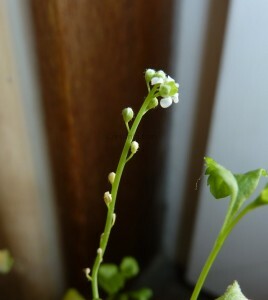 Broad leaved cress. More photo’s. More varieties can be found in specialized cuisine niches. 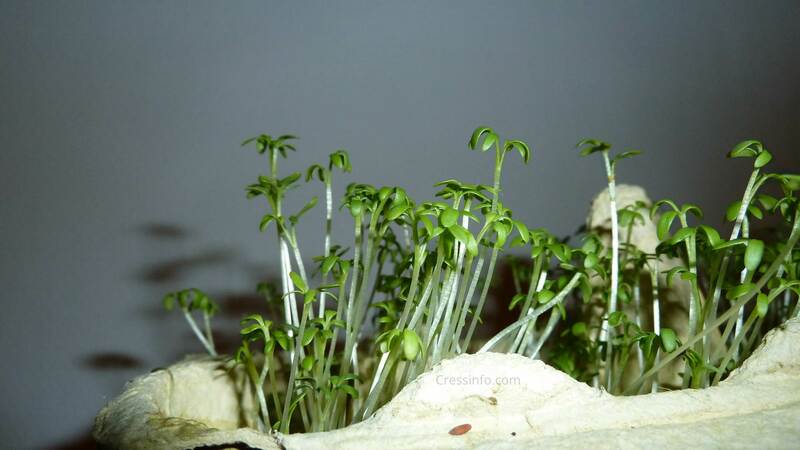 It is very easy to grow cress itself. It is also ideal for those who still have little experience with sowing and harvesting plants. The seeds germinate on almost anything that can hold a little moisture. Think of kitchen paper, earth, empty egg shells, empty egg cartons, plastic trays, germ bowls, sprouting towers. The plant has little needs to grow and therefore has a low CO2 output. This is certainly true when you grow it yourself in winter because other vegetables will have a much higher environmental load. This is caused by the added effort that is needed with getting fresh vegetables in winter, thus saving on energy and transportation costs. 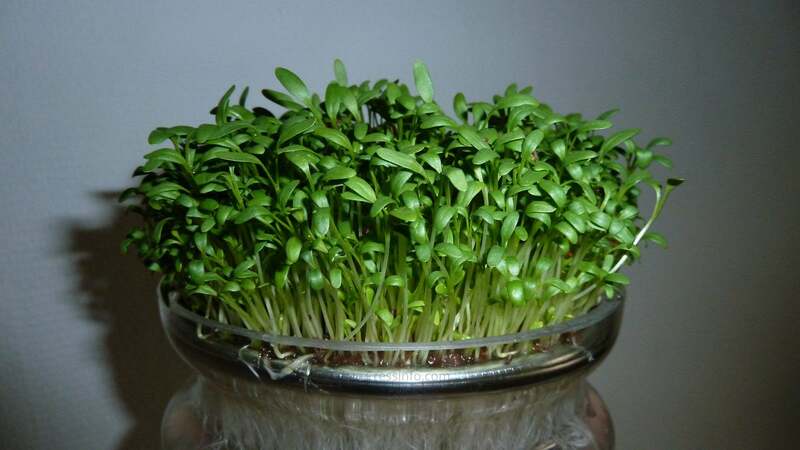 Even tough cress grows very quickly, is it possible to harvest seeds yourself? If you let it grow in summer, and do not cut it, eventually flowers will start to appear. After a few months you can collect seeds from these flowers. 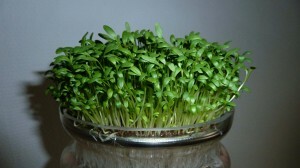 Cress seeds are readily available and are usually very cheap. You can find a pack for under 1$. If you don’t want to wait check out if your local grocery has them fully grown available.